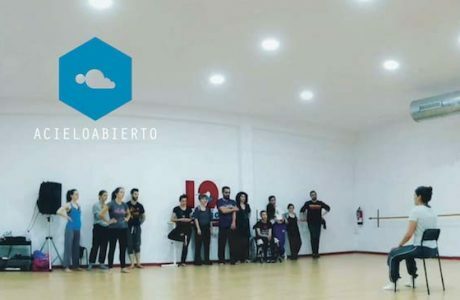 Trayectos has a commitment to develop contemporary dance in Aragon that goes a lot further than the programming of several Aragonese companies within the festival. The festival organizes a series of mechanisms to artistically stimulate and professionally stabilise companies and dancers of Aragon. The General Choreographic Support Programme is a training cycle open to dancers, choreographers and educators of Aragon. 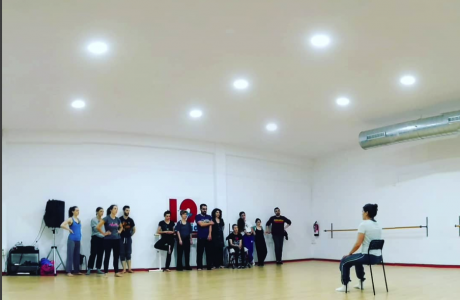 Courses, workshops, master classes, courses on choreographic composition and technique and on tangential disciplines of direct interest. The Specific Choreographic Support Programme consists in the work that links a company or a temporary union of dancers to a choreographer who helps them prepare a piece that will be performed at the festival.